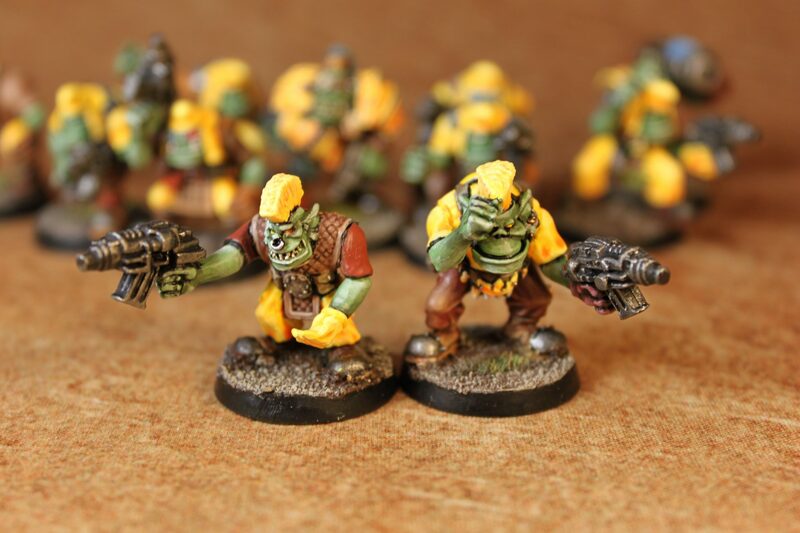 It’s interesting how the Big Mob is always the unit people dread to paint. 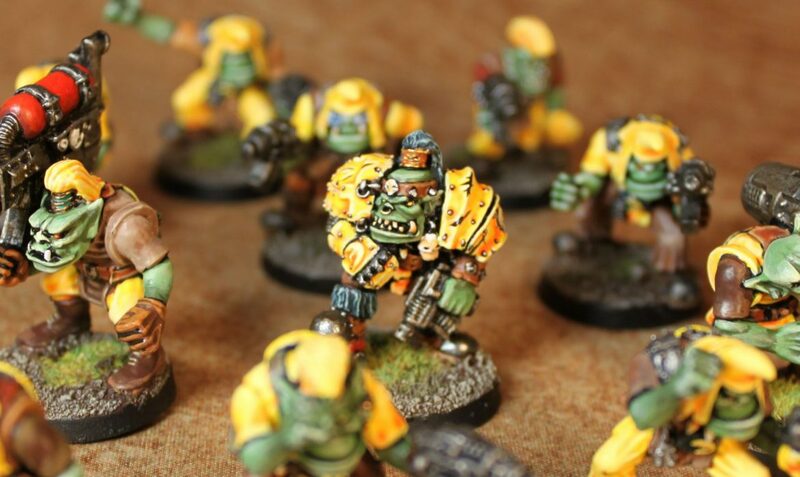 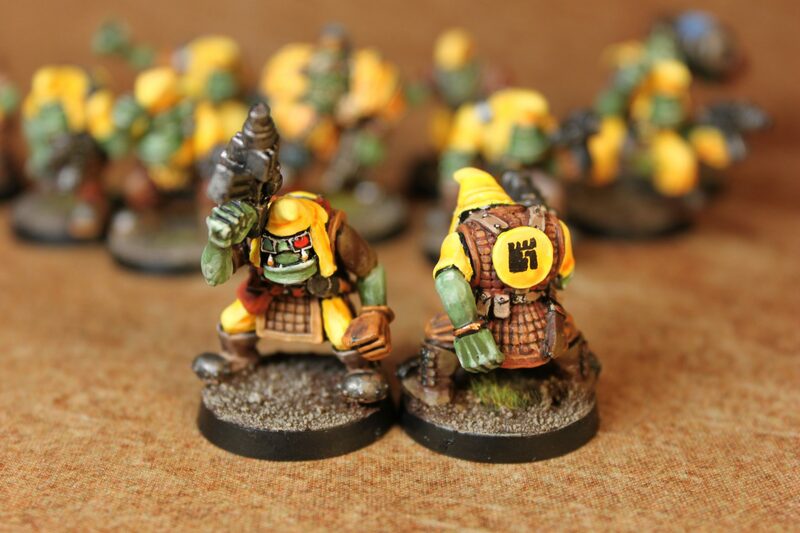 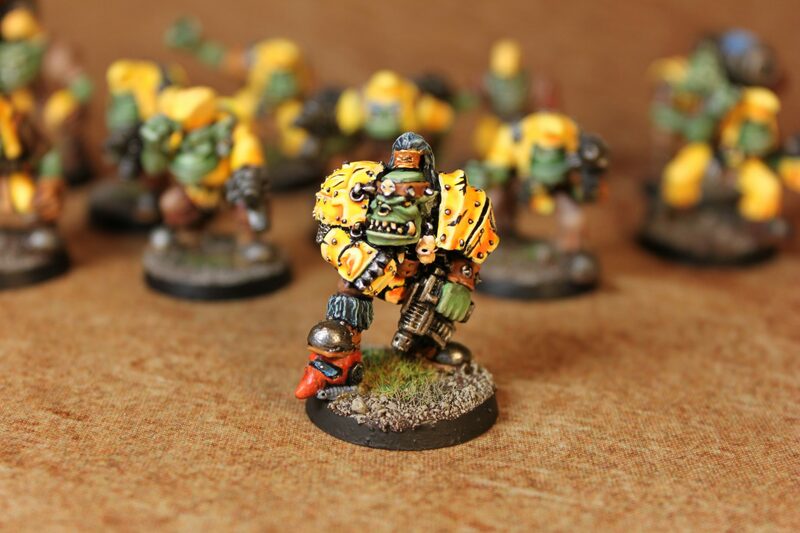 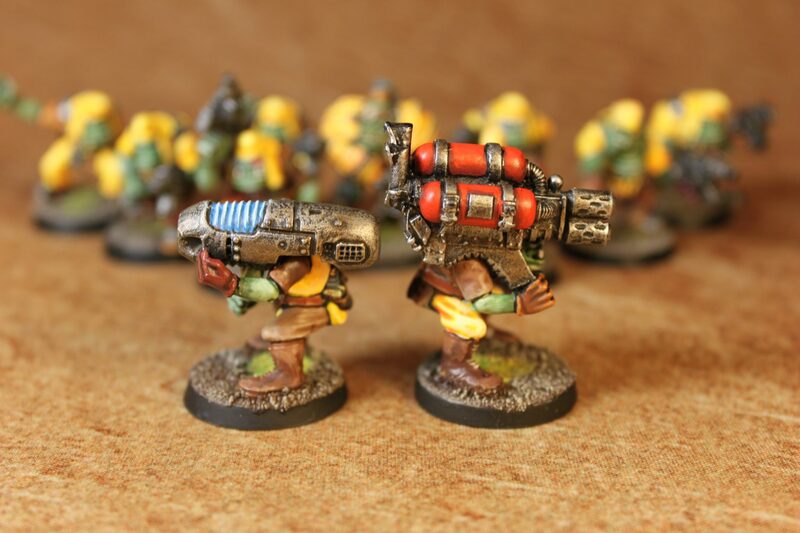 Maybe it is because the sheer numbers, or maybe it’s because Ork players, both then and now, are spoiled with character rich miniatures so the basic troops is a drag to paint. 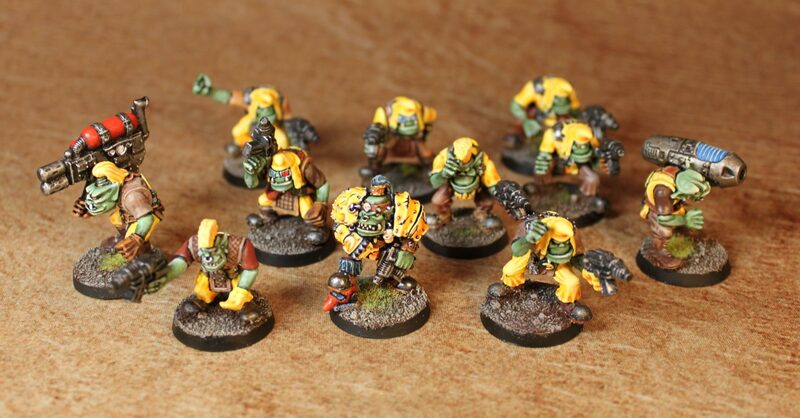 In any case, I have finally gotten around to complete my Big Mob include their mighty clan boss leader. 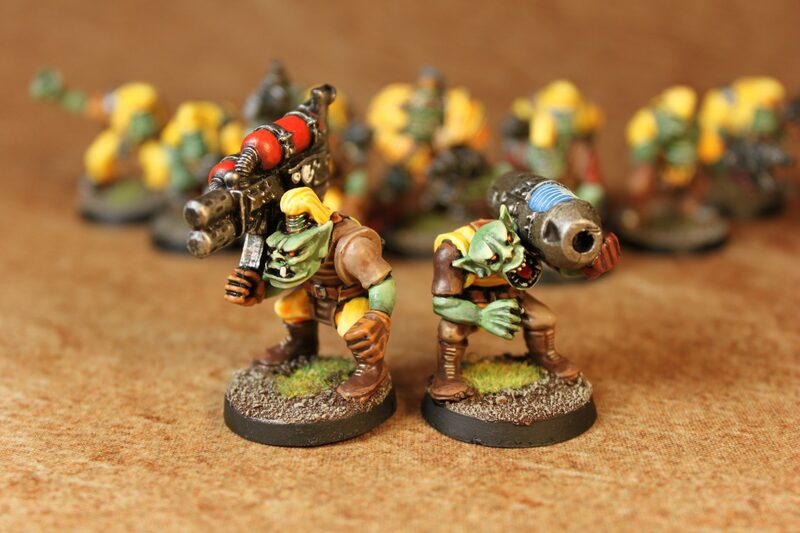 That means I have a Painboy and Runtherd and a visiting unit of Snakebite Cyboar Boys left to paint to complete my 1,000 point Rogue Trader Ork army.